Peter Pinnola guides clients through the confusing and frustrating process of applying for Social Security Disability benefits. A highly experienced and respected practitioner, Mr. Pinnola has represented disability claimants for over 40 years. Services at Pinnola & Bomstein, which may begin prior to the application, extend through all levels of appeal, including the administrative law judge hearing. Mr. Pinnola has won precedent setting cases on appeal in Federal Court. (See, for example, Boone v. Barnhart, 353 F.3d 203 (3d Cir. 2003). The representation provided for disability clients at Pinnola & Bomstein is unique. When inquiring about Social Security Disability benefits, you will have the opportunity to speak directly with Mr. Pinnola. This feature of disability practice is becoming less common. Many clients represented by large volume out-of-state firms meet their representative for the first time shortly before the administrative hearing. In recent years, one of the most troubling developments has been the long delay between the filing of an appeal and the scheduling of an administrative hearing, which can take well over a year. During this period of time, it will be important to show what efforts have been made to stabilize and improve the patient’s condition. Documentation of treatment is critical. In certain cases, records alone may support a favorable decision without the necessity of a hearing. Although such cases are relatively rare, at Pinnola & Bomstein claims are carefully screened to see if this option is feasible. Usually, the best opportunity to explain disability is face-to-face at the hearing before an administrative law judge. It is our practice to have an extended conference with the client well in advance of the hearing and to submit a brief to the judge explaining in detail why benefits should be paid. At Pinnola & Bomstein, we believe it is important for our clients to appreciate the standards necessary to prove disability as well as the questions which will be asked during the application process and at the administrative hearing. Mr. Pinnola is ably assisted by dedicated members of our support staff, each with many years of experience in preparing disability claims. Our staff is accessible and available to answer questions directly or in concert with Mr. Pinnola. They take pride in their work and the many “Thank you” letters we receive frequently mention them specifically. We are confident that our clients will find the personal service and “hands on” approach at Pinnola & Bomstein reassuring during the difficult process of seeking Social Security Disability benefits. For additional information, please refer to “Frequently Asked Questions” or contact us directly. We believe you will be impressed by the ease of access and our promptness in responding to your questions and concerns. Michael Bomstein has negotiated complex business and real estate transactions, resolved partnership and real estate disputes and litigated complicated partnership lawsuits. In one case, as lead counsel in a hard-fought complex real estate partnership suit, he helped the firm's clients receive partnership interests and cash in excess of $229,000,000. In a corporate shareholder dispute, following a lengthy trial, a judge ordered that Philadelphia business lawyer Michael Bomstein's client be paid half of the profits of the company so long as it continued to do business – anticipated to be in the millions -- plus $375,000 in damages. In a protracted lawsuit that wound its way to the Pennsylvania Superior Court, Bomstein successfully defended against a quiet title claim that would have invalidated a million dollar mortgage. Real estate transactions also are an important part of Pinnola & Bomstein's practice. The firm assists both buyers and sellers in residential and commercial transactions. If you wish to enter into a real estate transaction to buy property or a real estate transaction to sell property, we can assist you. Mike Bomstein can help you prepare a new deed or negotiate the terms of a deal, prepare agreements of sale, resolve title issues, and attend closings. He can also help you navigate your way in real estate disputes and real estate litigation. A good deal of a lawyer’s time is spent in the office, meeting with clients, negotiating with opposing counsel and preparing cases for trial. Today, communications are often done via email and text messaging and our firm’s clients always find that we respond quickly to them. Because our clients are often not available during customary office hours, Michael Bomstein ordinarily sees clients from 8 o’clock in the morning to 5:30 in the afternoon, with occasional weekend appointments as may be needed. In his fifth decade of practice as a member of the Pennsylvania Bar, Philadelphia business attorney Michael Bomstein is AV rated in peer review ratings compiled by the firm Martindale-Hubbell. The rating is generated from evaluations of lawyers by other members of the bar and the judiciary in the United States and Canada. AV rating is the highest rating and is considered an indicator of an attorney’s ethical standards and ability. Over the years he also has sat on the boards of legal service organizations and participated in the Philadelphia Bar Association’s Volunteers for the Indigent Program. 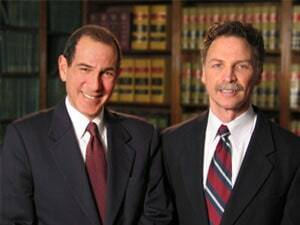 Whatever your legal needs, Pinnola & Bomstein will try to assist you. If you need help in a practice area that the firm does not handle, we will be happy to refer you to capable counsel. In the meantime, please feel free to navigate our website to get a better idea of what we do and how we have helped our clients over the decades. Our clients receive our respect and full attention, along with personal service, reasonable fees and quick access to an experienced attorney. A majority of our cases come from referrals from past clients who recommended Pinnola & Bomstein as dependable and effective counselors.